manage to get the most information over. traditional story as found in the commentaries and later Pali works. story that has come down to us. into the ancient narrative by contemporary Buddhists, including Pulitzer Prize winning poet W.S. Merwin and His Holiness the Dalai Lama. Abhidhamma is the analytical doctrine of mental faculties and elements. discourses in the Sutta Pitaka. The concepts used in the sutta are like the conventional words and terms lay people use to express scientific subjects. conversation, do not adequately describe the real nature of existence. condition further than other studies known to man. Cetasika, the mental factors that arise and occur along with the citta. Rupa, physical phenomenon or material form. Nibbana, the unconditioned state of bliss which is the final goal. found in any other psychological treatise either in the east or west. of matter, relationship of mind and matter. any other study of the human condition anywhere else in the world. a subject of fleeting interest designed for the superficial reader. pioneer work of C.G. Jung has shown, that we are near to [the] Buddha. who subsequently elaborated them and later compiled them into six books. not will not help us to understand reality. 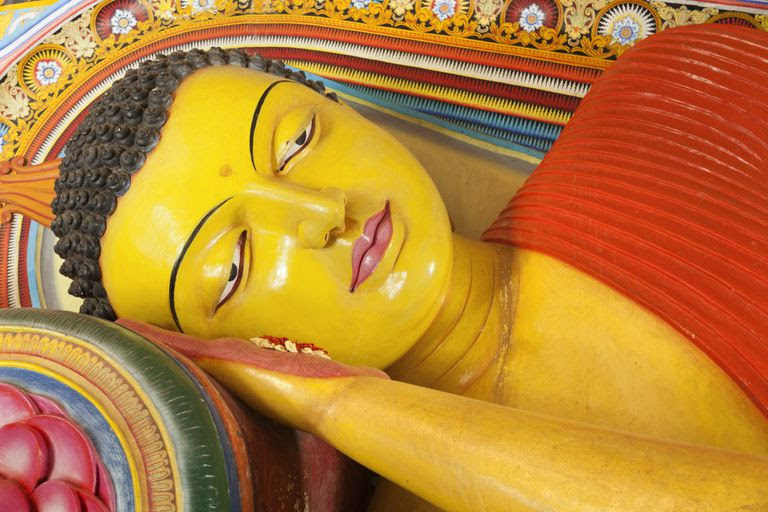 This abridged account of the historical Buddha’s passing and entry into Nirvana is taken primarily from the Maha-parinibbana Sutta, translated from the Pali by Sister Vajira & Francis Story. Other sources consulted are Buddha by Karen Armstrong (Penguin, 2001) and Old Path White Clouds by Thich Nhat Hanh (Parallax Press, 1991). monsoon rains retreat,when the Buddha and his disciples stopped traveling. with the strength of will, he overcame his illness. away until he had given some last instructions to his monks. something to say. But, Ananda, the Tathagata has no such idea, that the sangha depends on him. So what instructions should he give? Dharma as your refuge, seeking no other refuge. throughout a world-period or until the end of it. The Buddha repeated this suggestion three times. Ananda, possibly not understanding, said nothing. Then came Mara, the evil one, who 45 years earlier had tried to tempt the Buddha away from enlightenment. You have accomplished what you set out to do, Mara said. Give up this life and enter Parinirvana [complete Nirvana] now. Do not trouble yourself, Evil One, the Buddha replied. In three months I will pass away and enter Nirvana. Tathagata remain throughout a world-period or until the end of it. 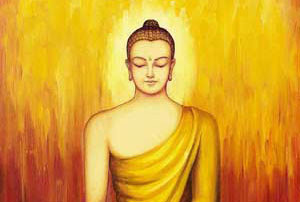 to dine in his home, and he gave the Buddha a dish called sukaramaddava. This means “pigs’ soft food.” No one today is certain what this means. pigs like to eat, like truffle mushrooms. Ananda not to blame Cunda for his death. 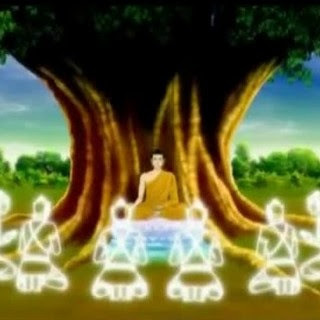 The Buddha and his monks came to a grove of sal trees in Kushinagar. head to the north. I am weary and want to lie down, he said. rained down on the Buddha. with all that is dear and beloved there must be change and separation? should strive to liberate yourself. The Blessed One then praised Ananda in front of the other assembled monks. him.” But no one spoke. The Buddha assured all of the monks they would realize enlightenment. Then he said, All compounded things are subject to decay. Strive with diligence. Then, serenely, he passed into Parinirvana.